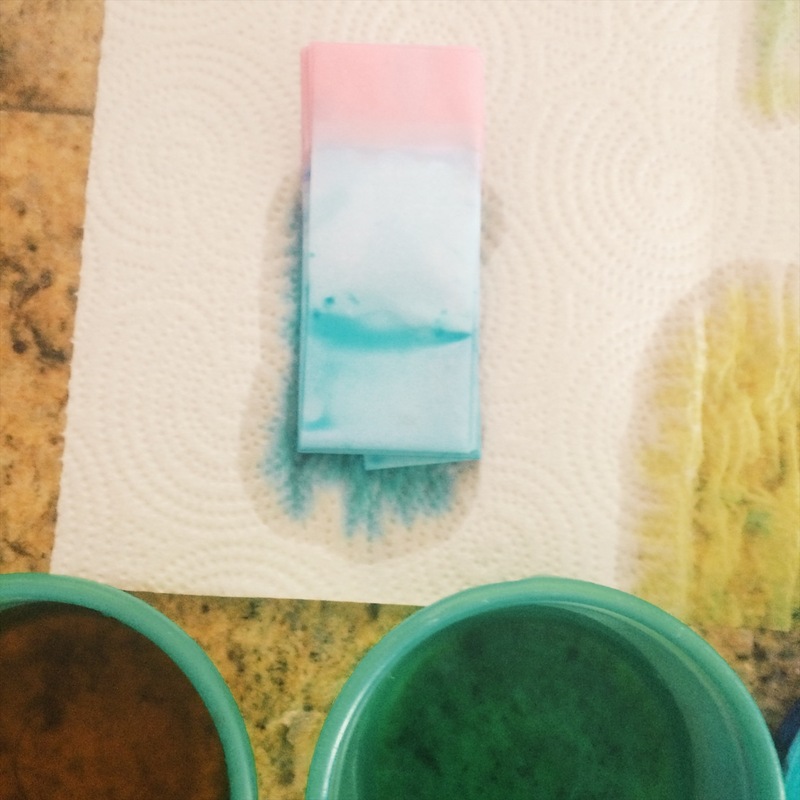 Tie dye is always a fun Summertime craft but usually pretty messy. On a whim, I decided to try to organize a quick, not so messy, version of traditional tie dye as an afternoon craft. 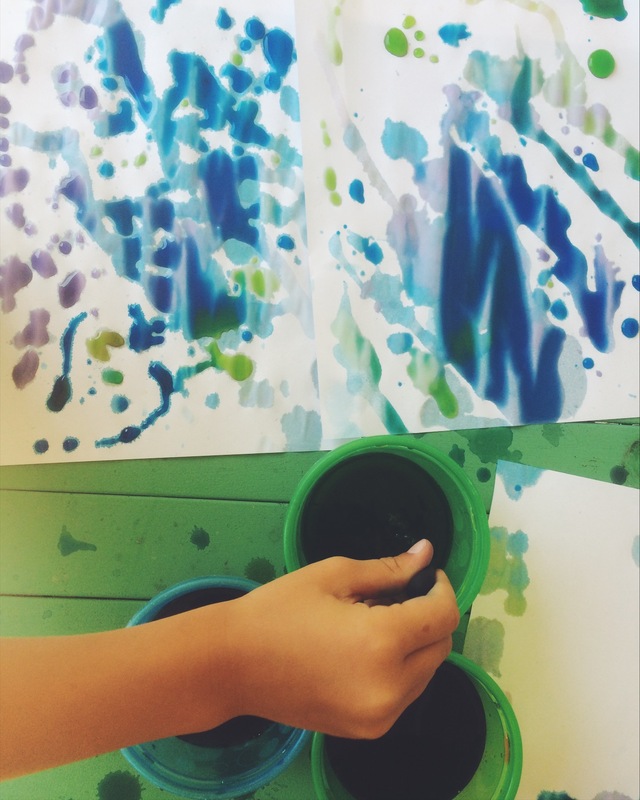 This week, we used a dip dyeing method to create a tie dye paper craft and it was pretty successful and the kids had a lot of fun! As I had hoped, the project was not very messy although I do recommend doing it outside in case of spills and drips. You can also use as many colors as you’d like but I started with the primaries red, blue and yellow. 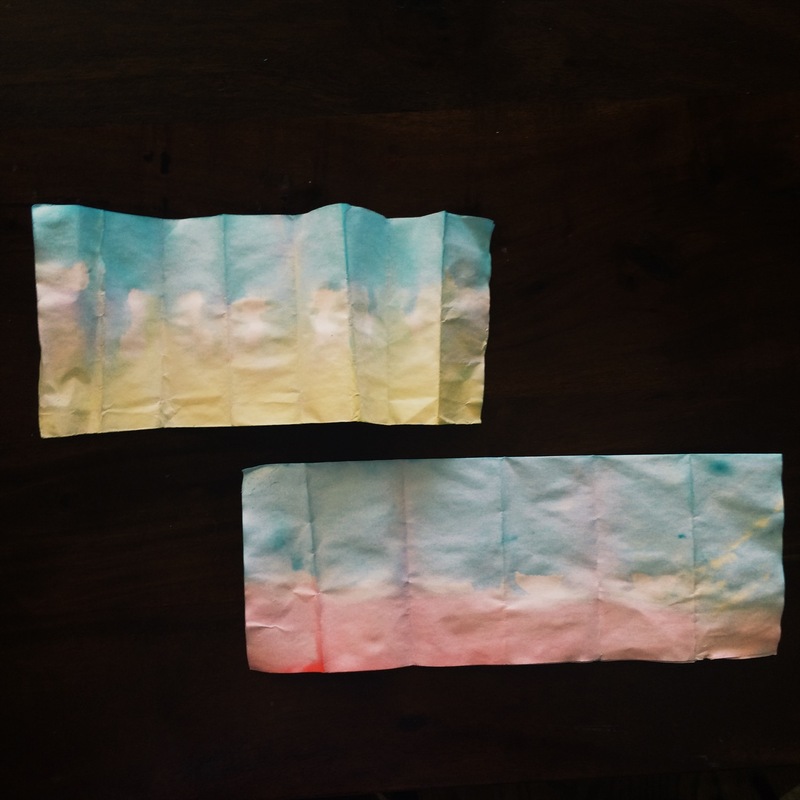 I prepped this tie dye paper craft by getting three small bowls full of water and a few drops of food coloring in each. I used our bowls similar to these and this food coloring. 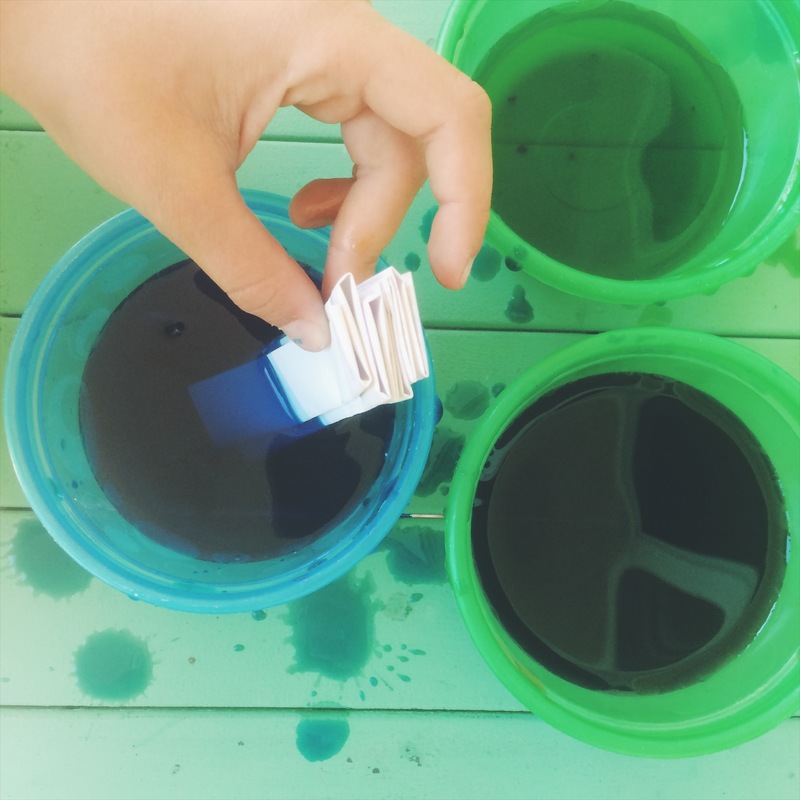 After all of the folding, we dipped one edge at a time into different bowls of watered down dye. This worked really well and very quickly gave the paper a tie dye effect. 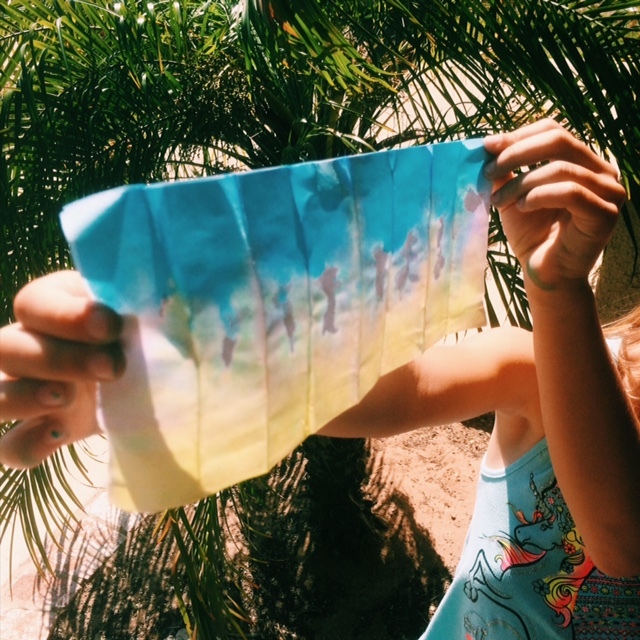 After we experimented with the tie dye paper craft we set our folded papers aside and let them dry in the sun. They dried really quickly! While the tie dye paper was drying we used eye droppers to experiment with the rest of the dye I had mixed. The eyedroppers kept the girls busy for quite awhile, I think they both ended up filling about five sheets of copy paper with little droplets. After everything was dried we opened the tie dyed paper slowly so it didn’t rip and we were impressed with how the patterns came out! This was a great art/science project that caters to the imaginative child that wants to be fully absorbed in learning and creating. Both of my daughters seem to be insatiable for these type of projects and love to create. Folding the paper kept the project small and manageable for them and cut down on the mess for me. I would definitely try this project again! 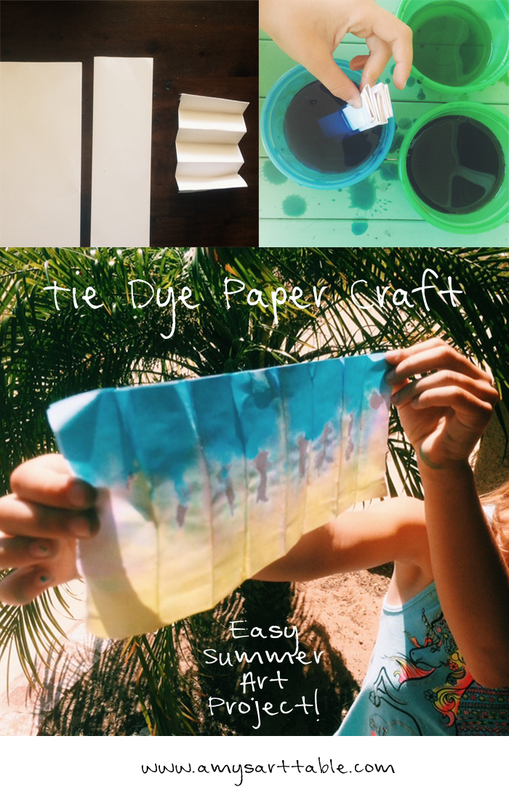 If you try this tie dye paper craft tag us @amysarttable so we can check it out! 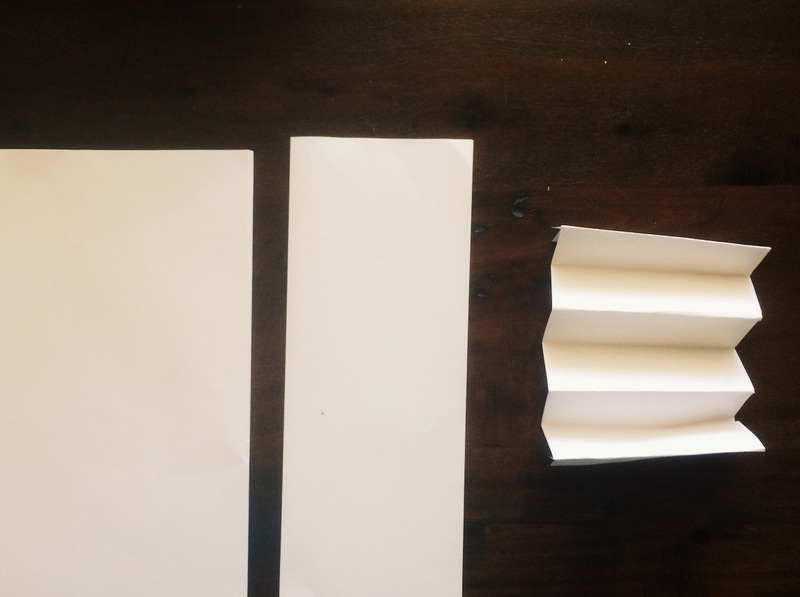 Stay tuned for a new project next week and check out the Art Lessons & Family DIY projects categorized on the site!